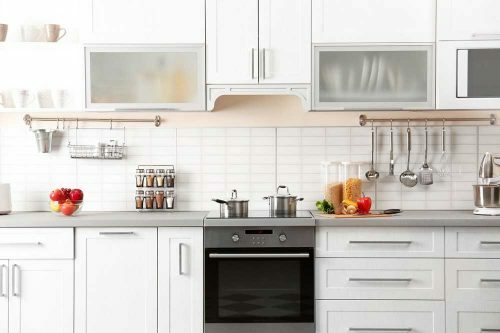 From concept to completion, award-winning Askin Cabinets in Caloundra provides an all-inclusive service to streamline your entire kitchen or bathroom build. We’ll take your vision, combine it with our expertise and make your kitchen design and renovation ideas a reality. Our team is up-to-date with the latest in kitchen, bathroom and laundry trends. We design, install, and will manage your entire project, liaising with tradies such as plumbers, tilers and electricians. Instead of moving, give your place a facelift. Our talented interior decorator will assist you with colour and design, while our dedicated estimator’s expertise will ensure your ideas fit within your budget. Brochures and internet images can’t compare to being able to see and touch our showroom displays and products. Get a real feel for how your home and office could be transformed. Throughout our many years on the Sunshine Coast, we have forged excellent relationships with our suppliers, including big names like Hettich Australia, Laminex and essastone by Laminex.